number who are interested in the more popular instruments. 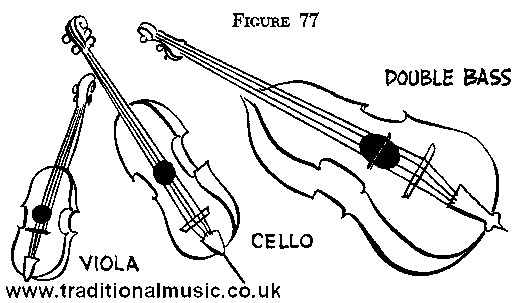 are the same as those used in playing the violin. high a tension as violin strings. wonderful bass accompaniment to the other instruments.